For some time now there has been considerable debate regarding the source of vintage Wild Turkey bourbon whiskey. After all, many labels curiously read “bottled by” rather than “distilled by.” Prior to 1971, it’s safe to say that all Wild Turkey batches contained at least some sourced whiskey. As a wholesaler, Austin Nichols bought and sold bulk whiskey and bottled it under various labels – including Wild Turkey expressions. However, when Austin Nichols purchased the Boulevard Distillery (AKA Old Ripy) in 1971, it became the primary source of Wild Turkey bourbon. But two questions naturally follow – was it the only source for Wild Turkey KSBW batches, and if not, for how long? My interpretation of Rusell’s statement is that he means “nothing,” as in nothing labeled distilled or bottled. So taking from that we can easily assume that from 1981 to present, all Wild Turkey expressions (regardless of label) have been distilled in Lawrenceburg, KY (though sometimes bottled elsewhere). So that leaves 1971-1980 as questionable. While many enthusiasts argue that 1970’s WT likely contains at least some sourced whiskey, most agree that the bulk of the profile consists of bourbon from Boulevard. In fact, some assert that it’s probable that the distillery purchase by Austin Nichols was to secure that profile, as Wild Turkey had become quite popular. If this is true, it’s a testament to Jimmy Russell’s skill as a Master Distiller. One thing we do know, is that the little distillery from Lawrenceburg was making some damn fine bourbon back then. So where does that leave us? Ah, yes … how does it taste? I think it’s time to set theories aside and let the Glencairn lead the way. Overall: This 1976 101/8 is about as good as Kentucky straight bourbon whiskey gets (at least in my opinion). It’s also classic “dusty” Wild Turkey at its best. There’s absolutely nothing about this bourbon that screams sourced outside of WT. In fact, it’s very similar in profile to 1981 WT 101/8. While the color and mouthfeel are closer to 1987 WT 101/8, the nose, taste, and finish are most definitely in the ’81’s ballpark. I’d even go so far as to argue that it has greater balance and complexity than the WT 101 12-year exports from the late 1990’s and 2000’s. It certainly has more character, that’s for sure. 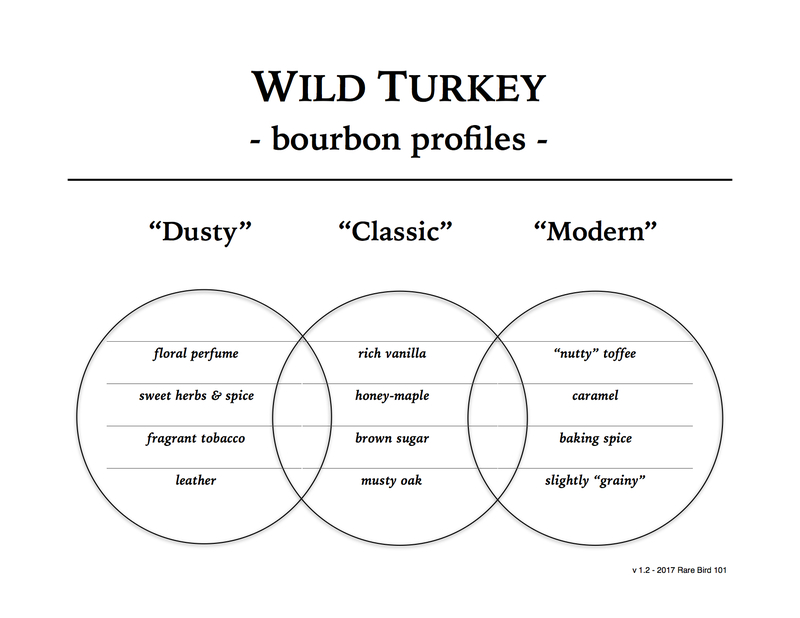 Does this mean that all 1970’s Wild Turkey bottles have the same profile? No. Every batch has the potential to be somewhat different. That said, it wouldn’t surprise me if whatever sourced barrels Austin Nichol’s had in storage in 1971 were dumped or sold shortly after the Boulevard purchase. We do know that some were sold to Julian Van Winkle, but that’s another story for another time. As for this 1976 Wild Turkey 101 8-year … it’s solid gold. Say I have a bottle from this year how much would it be worth? Well, to me Wild Turkey expressions are only worth what one is willing to spend to sip it. I realize you’re probably not looking for that type of answer, though. FWIW I recently saw a 1979 WT 101 on Master of Malt for $379 (plus shipping from the UK). That’s likely a good reference starting point.